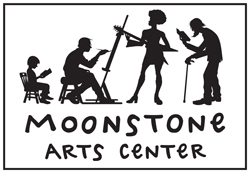 The Moonstone Arts Center produces about 80 poetry programs each year including Poetry Ink, the marathon poetry reading with over 100 poets each April. After several years of producing an anthology to accompany Poetry Ink we are now publishing Chapbooks and perfect bound books by individual Philadelphia area poets. The Moonstone Press has published Richard S. Bank, Kathy Barham, Steve Burke, Charles S. Carr, Leonard Gontarek, Ivan Taub and Robert Zaller. We have also launched our first poetry chapbook contest with September 30, 2015 as the deadline for submission. The winner will receive $300, 25 copies of their chapbook, promotion on the Moonstone website and a reading at a Moonstone venue. The website for this is http://www.moonstoneartscenter.org/moonstonepublishing/moonstone-chapbook-contest/ with the same contact info. • Winner will receive a $300 cash prize, publication and 25 copies of the book*, promotion on our website and a reading at one of our venues in Philadelphia. Please submit about twenty-five pages of material. Individual poems may have been previously published, but the work as a whole must be new. Simultaneous submissions to other publishers or contests are permitted so long as you promptly notify Moonstone Press if a manuscript is accepted elsewhere. 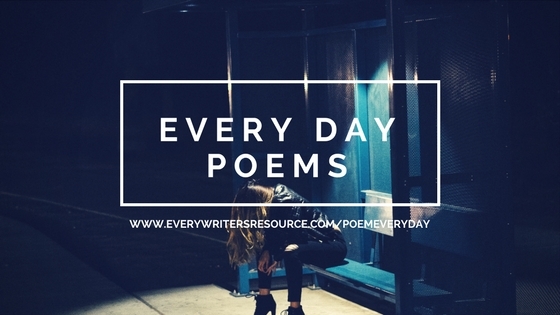 Include only one poem per page. If a poem continues to a second page, indicate whether or not there is a stanza break. Thirty-five lines equal one page. Divider pages or section titles should be included in the total page count. When determining total line length for each poem, include spaces between stanzas (example: a poem of 5 couplets would equal 14 lines). Numbers or section breaks (often indicated by a * symbol) should also be included as lines when calculating total line length. Count an epigraph as three extra lines. A line that has more than 60 characters (including spaces and punctuation) should be counted as two lines of your total line count. If lines are staggered like a Ferlinghetti poem, estimate the width of the line and remember that the final chapbook will be printed in 12 point Times New Roman font on pages that are 5 1/2 inches wide. a biography (this can be included in the cover letter), a cover page with contact information, table of contents, dedication, acknowledgments for any previous publications, and an inside title page (with no name). These pages should not be included in the manuscript’s total page count. The cover page should include the manuscript title and all contact information (mailing address, email address, home phone, and cell phone if available). Your name should not appear anywhere on the manuscript. Please enclose a 9 X 12 (or 10 X 13) inch SASE with correct postage if you want your whole manuscript returned. For notification of results only, include a #10 business SASE. If there is no SASE, notification will be sent via email. If there is no SASE and no email address, there will be no notification. Please notify us of any change of address. All submissions should be postmarked no later than September 30, 2015. Winners will be announced about October 31, 2015.